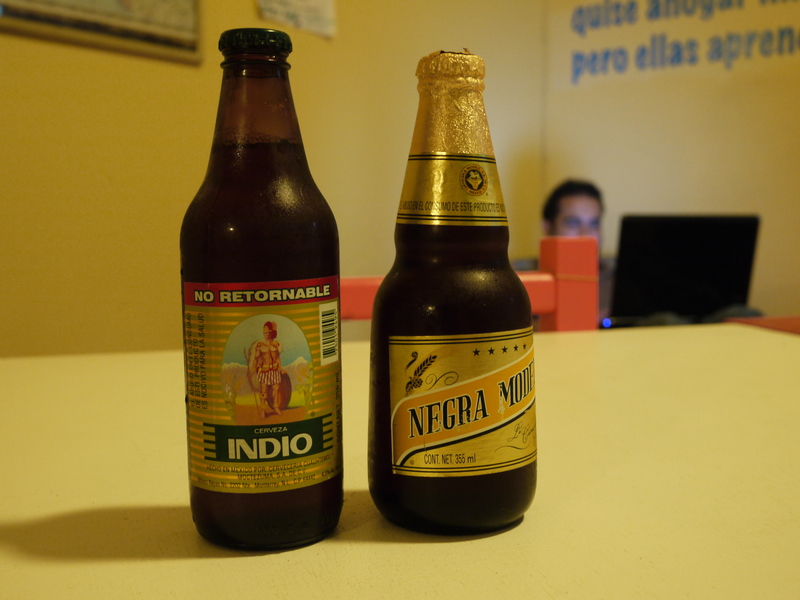 Indio beer… a real gem of a cerveza. The other one (Negra Modelo) is a nice Vienna-style lager. 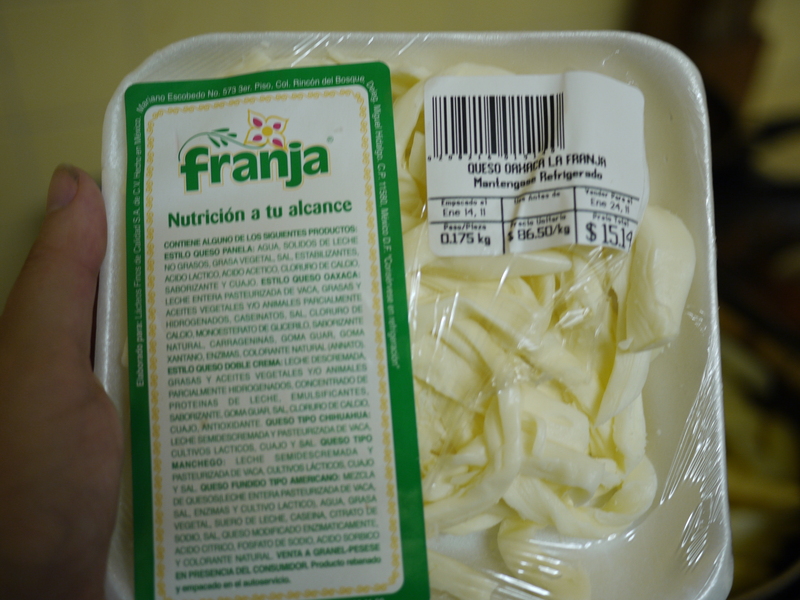 Today we saw some cheese that looked like curds, so we decided to make mexican poutine for dinner. 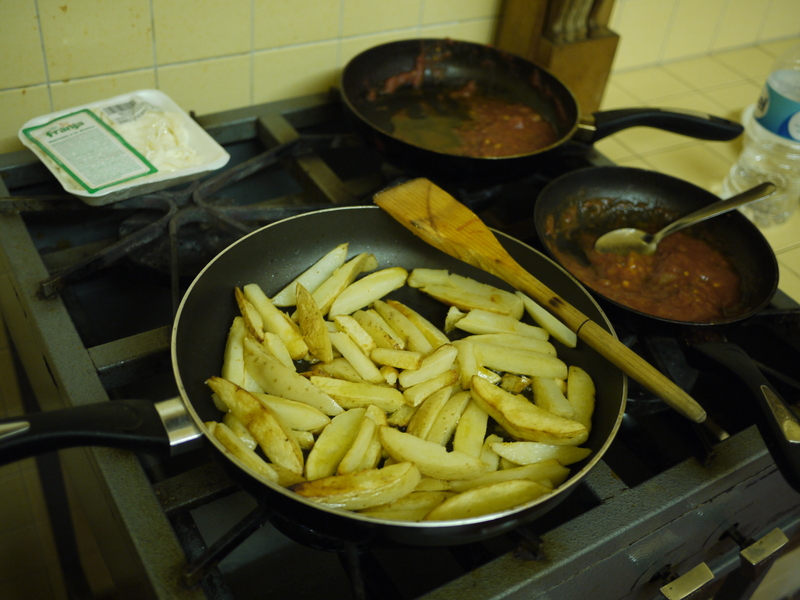 We used (for two), 1/2 cup of olive oil, 5 potatoes cut in fries, a pack of salsa and 175 g of oaxaca cheese. You start by boiling water in a large pot, then adding the potatoes in. Cook until they are soft enough to pierce easily with a knife and then fry them in olive oil in a pan for 20 minutes or until they become golden and crispy. When the fries are almost ready, you can heat the salsa; it needs to be boiling in order to melt the cheese. 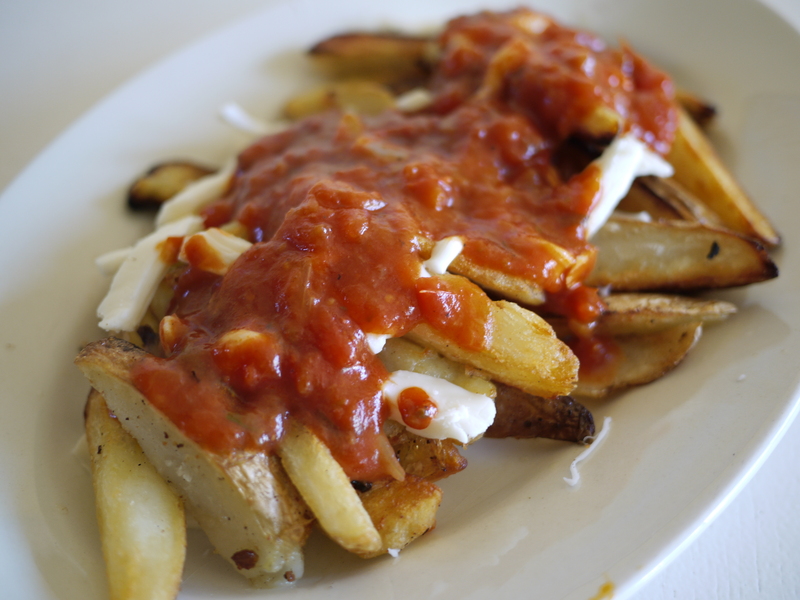 When everything has finished cooking, do it like this: Put cheese on the bottom of a plate, place fries, add more cheese, then smother with salsa… and serve! 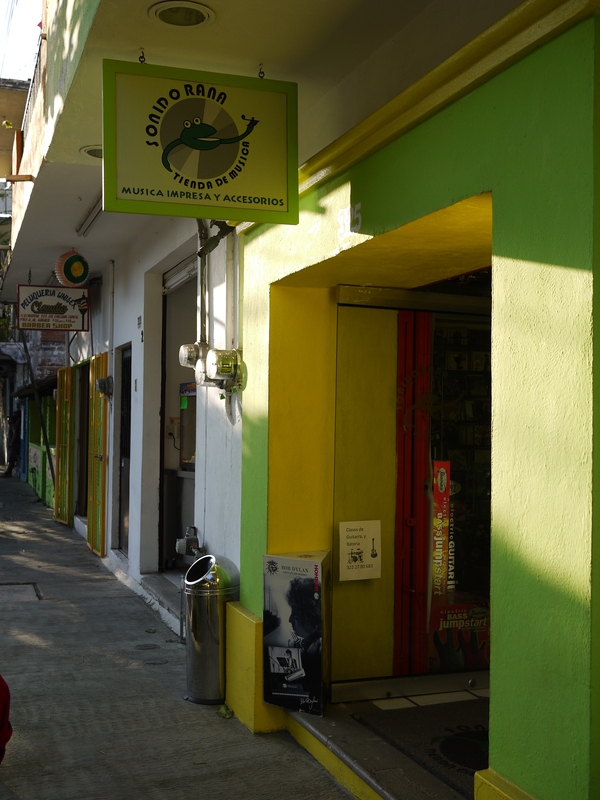 We also found a record shop in Puerto Vallarta! And they have a small but decent metal section too. 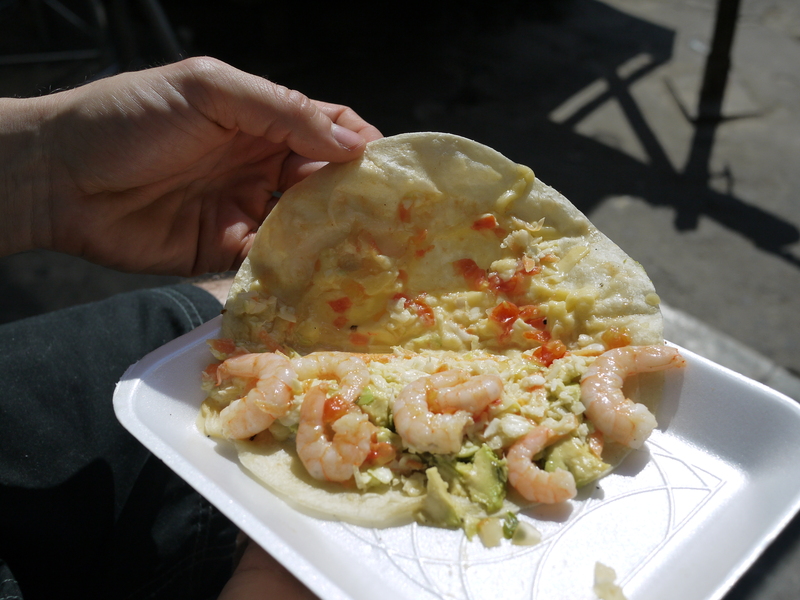 The shop name is Sonido Rana, located at FCO. 1 Madero 325. The metal section. Black Sabbath’s Born Again! Judas Priest’s Sin After Sin!! 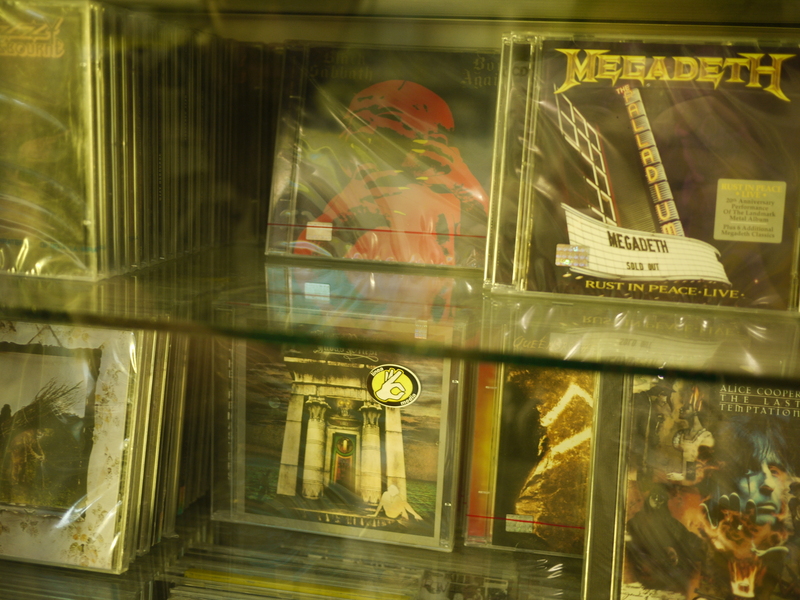 And they had like 5 sealed copies of the big Judas Priest box set – the one with studs on the side. But that was pretty much it. 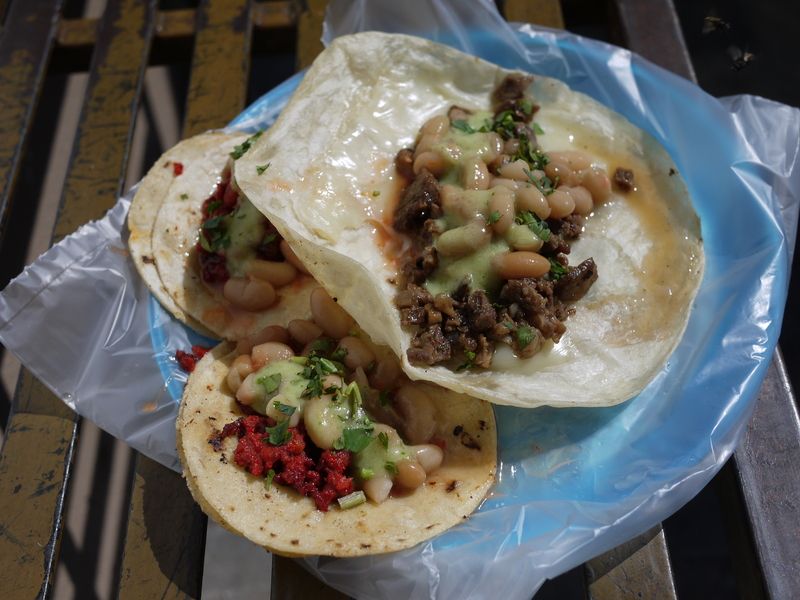 So yup… the next time you hear from us, we’ll be in Guadalajara. 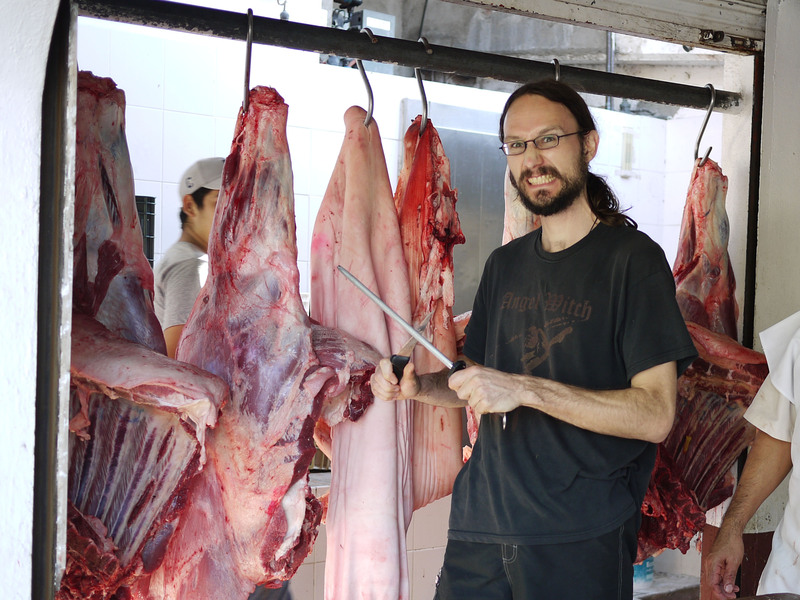 For now, here is a non-vegetarian friendly photo of François in a butcher shop in the Mercado Emiliano Zapata. This entry was posted on Sunday, January 16th, 2011 at 1:21 am	and posted in Mexico. You can follow any responses to this entry through the RSS 2.0 feed. 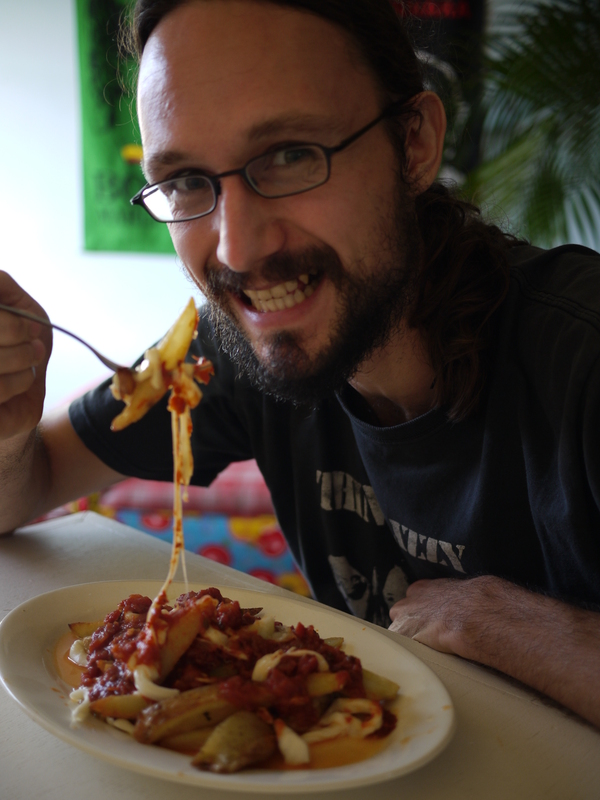 haha, poutine in puerto vallarta! cant escape the canadian in you, i suppose. 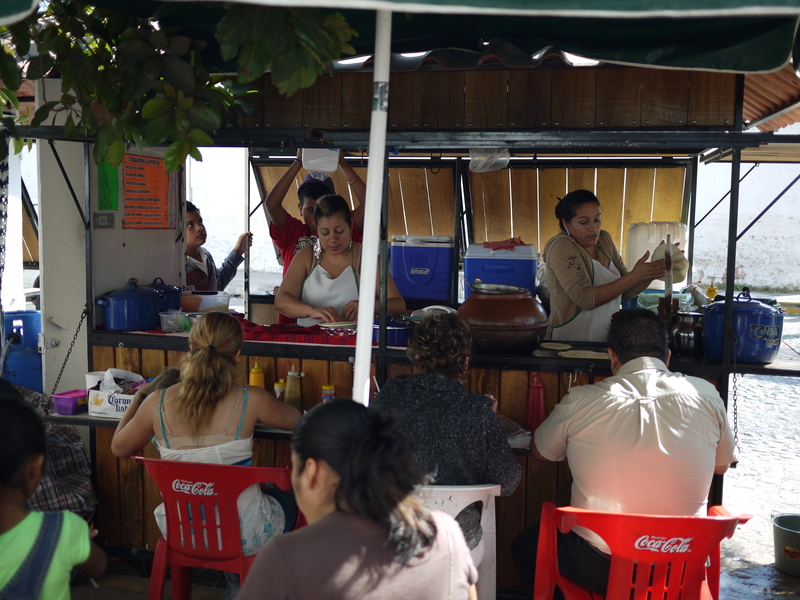 enjoy your trip and variety of food …. keep the pictures coming! Miguel from Colombia writes. Being a long time Doom Metal fan I got your MLP last year… and really loved it. Those Sabbathy songs with a female voice singing in French are really something special. So, you can say I’m a Cauchemar fan. I just read that you’re playing in Chile soon and I have to say: WHY NOT Colombia????? I know you’re attending a Witchtrap gig in a couple of weeks and I think that would be a nice opportunity to play those 5 songs down here. I’m pretty sure Hugo could help by lending instruments and finding a drummer who could lend a hand. Please make that possible, it would be the first Doom Metal gig in the country since Cathedral played back in ’96.